TDS is one of the modes of collection of taxes, by which a certain percentage of amounts are deducted by a person at the time of making/crediting certain specific nature of payment to the other person and deducted amount is remitted to the Government account. It is similar to "pay as you earn" scheme also known as Withholding Tax in many other countries, one of the countries is USA. The concept of TDS envisages the principle of "pay as you earn". It facilitates sharing of responsibility of tax collection between the deductor and the tax administration. It ensures regular inflow of cash resources to the Government. It acts as a powerful instrument to prevent tax evasion as well as expands the tax net. However in case of payments made under sec. 194A, 194C, 194H, 194I and 194J in respect of individual and HUF, only if the turnover or professional receipt exceeds sum of Rs. 40 lakh or Rs. 10 lakh respectively (the limits will be Rs.60 Lakh or Rs. 15 Lakh respectively w.e.f. 01.07.2010) in previous year, he is required to deduct tax at source. Principal Officer of a company for TDS purpose including the employer in case of private employment or an employee making payment on behalf of the employer. DDO (Drawing & Disbursing Officer), In case of Govt. Office any officer designated as such. In the case of "interest on securities" other than payments made by or on behalf of the Central govt. or the State Government, it is the local authority, corporation or company, including the Principal Officer thereof. Every deductor is required to obtain a unique identification number called TAN (Tax Deduction Account Number) which is a ten digit alpha numeric number e.g.DELH90468K. This number has to be quoted by the deductor in every correspondence related to Income Tax matters concerning TDS. By or on behalf of any other person : before the 7th of the following month. However, if the amount is credited in the books on 31st March then the tax should be remitted by 31st May. Note: w.e.f., 01.04.2008 electronic payment of tax has to be done by all corporate assesses and all persons whose cases are auditable under section 44B. Use challan no. 281 for depositing TDS amount. File statements of tax deduction in the prescribed time. 15th June for last Quarter however for TCS statements the due date is 30th April. All persons whose TDS statements contain more than 50 deductees. Ensure that TDS return is filed with same TAN against which TDS payment has been made & TDS certificate is issued. Correct rate is quoted against each deductee record. Registration for TAN enables you to avail additional facilities from Tax Information System. Always verify status of TDS returns from Tin NSDL to ascertain the discrepancy, if any, and/or whether your TDS return stands accepted or rejected by the system. 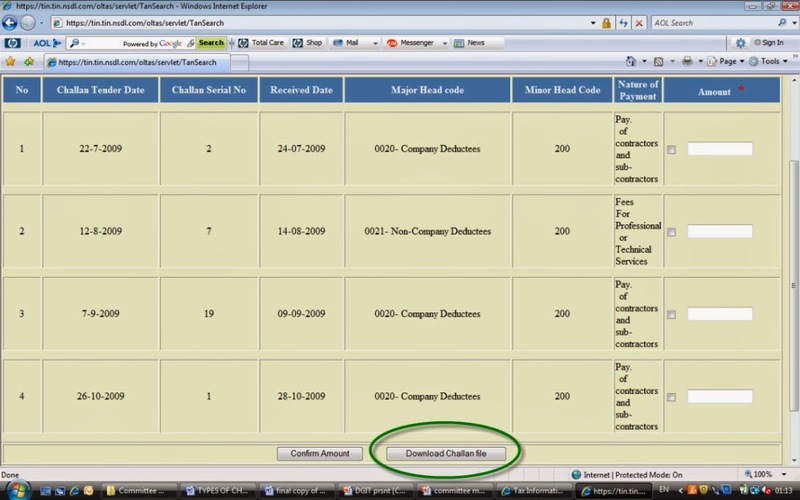 The process of filing of e-TDS /e-TCS returns is available in detail at following websites www.incometaxindia.gov.in or http://tin-nsdl.com. The certificate should be issued within one month from the end of the month in which the income is credited however for credit entries made on 31st March, due date is 7th June, except in the case of salary where the certificate has to be issued by 30th of April of the following financial year in which the income was credited. 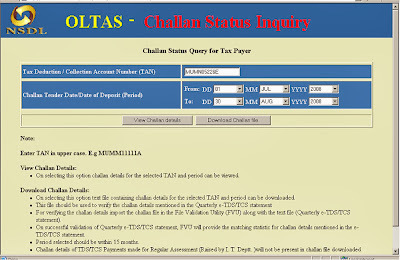 Use challan type 281 for deposit of TDS/TCS amount. Deductor should quote correct TAN, full name, address and current A.Y. on each challan. Deductor should use separate challan for different nature of payments quoting correct nature of payment code and also for different type of deductee. Ensure that the bank has mentioned CIN (Challan Identification Number) on the counter foil. Verify CIN details uploaded by the bank to TIN i.e., 5 digit challan serial no., BSR code of 7 digit and date. E- payment of TDS is recommended. Don't quote wrong TAN/PAN or use PAN in place of TAN or vice versa. Don't use a single challan for corporate and non-corporate deductees. If one has multiple TANs, use one TAN only consistently and surrender the others. Don't use preprinted challans without verifying TAN/PAN. Each branch/division of an entity will have a separate TAN if it is filing separate TDS/TCS returns. However, there will be only one PAN for a legal entity. All details of the payment as uploaded by the banks are available at the NSDL- TIN website www.tin-nsdl.com under the link "challans status enquiry". 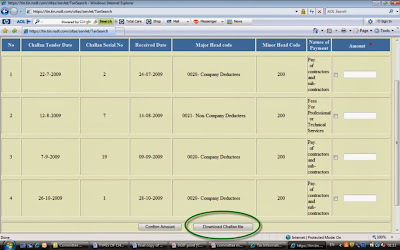 Deductor should verify the details for ensuring the credit for payments. Through the TAN Based View details of all challans deposited in the banks for a given TAN during a specified period can be viewed.